Looking for some new free games to add to your ever-expanding PlayStation Plus collection? Sony has just rolled out its announcement for the two upcoming official selections for October, and there's plenty of spookiness in sight. PlayStation 4 owners can look forward to Friday the 13th: The Game as well as Laser League, with plenty of extras for the rest of the pack. 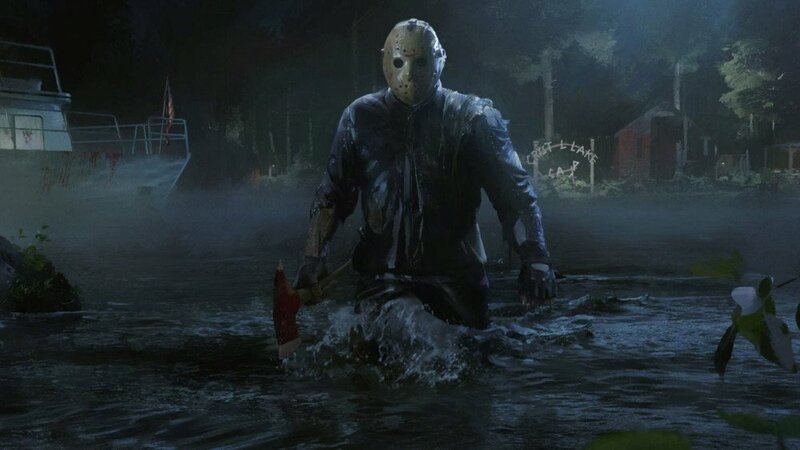 Friday the 13th: The Game pits players up against slasher icon Jason Voorhees as they struggle to escape his pursuit, or play as Jason to track down pesky counselors and take them out, one by one. You can play either way you prefer, solo or with friends. Laser League is a fun multiplayer experience with gorgeous coloring and an '80s lilt that'll have you competing in "strategic competitions" that'll test your reflexes and your patience in a tournament set far into the future. Additionally, PlayStation 3 users will get Master Reboot and The Bridge. PS Vita owners can scoop up Rocketbirds 2: Evolution as well as 2064: Read Only Memories. PlayLink and PlayStation VR games are up for grabs as well as bonus games, and Knowledge is Power and Here They Lie round out October's offerings. PlayLink title Knowledge is Power is a quirky trivia game available until November 6, while Here They Lie is a PlayStation VR first-person horror game that's up for grabs until October 2. H1Z1 fans can also get the PlayStation Plus Blueshift Pack, which includes the Marine Blue Offroader, Blue AR-15 schematic, and Pro Gamer Hoodie all for free for PS Plus members. Strange that it’s Friday the 13th. The publisher is having issues being caught in crossfire of a rights battle right now and can’t do continuing support atm. The original developer had to bow out to and another dev is waiting to take over if they get things resolved. I keep a close follow on these guys since they’re publishing Bloober Team’s upcoming Project Méliès. Huh. I'll have to read this later. I really enjoyed it when I had time for multiplayer games. I back this Kickstarter also.